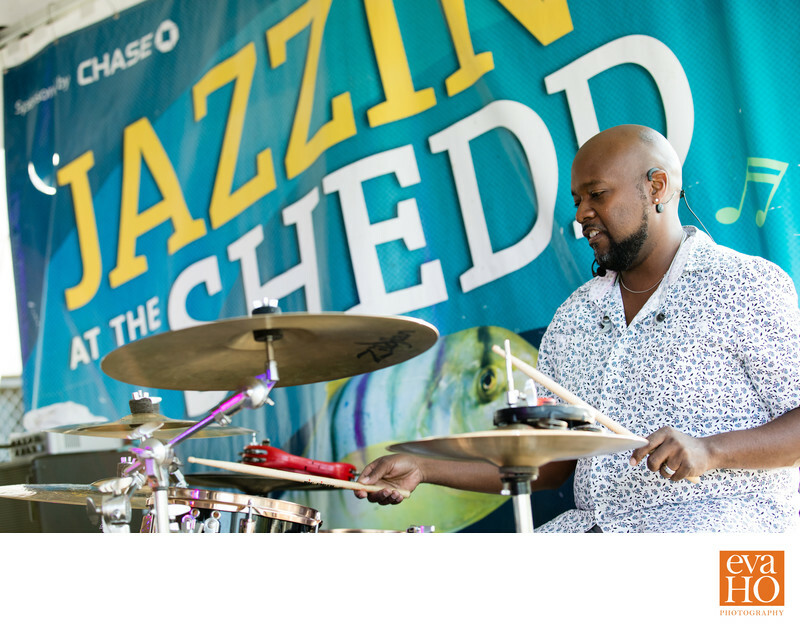 Chicago editorial photographer Eva Ho was commissioned by the Shedd Aquarium (formerly John G. Shedd Aquarium), the most visited cultural attraction in Chicago, to create visual imagery for their popular summer event, Jazzin' at the Shedd. For this particular job, Eva worked with staff members and models to create visually stunning and attractive photos to entice potential patrons to this already popular events that happens every Wednesday evening during the summer months with live jazz bands, cool drinks, and awesome fireworks from North and Lakeside Terrace at 9:30pm. In this image, Eva photographed the drummer in action with the event name in the background. What is a better way to wind down the hump day than listening to jazz music, watching fireworks while sipping on a cocktail? Location: 1200 S Lake Shore Dr., Chicago, IL .